The Simple Complete System is all you need to easily add and control power to a single accessory on your kayak. It has our plug-and-play SAE connectors, which means no cutting or splicing required! The kit includes a Battery Terminal Pigtail, Power Port with a plug-and-play wire, a master power switch with plug-and-play connectors and a Power Plug for connecting your accessory. Should you want to add more accessories later, this system easily expands into our more serious system without wasting a single component. Note: Always make sure the Yak-Power plug-and-play connectors are completely pushed together when connecting the system. We use our own custom tooled, high tolerance, very snug fitting SAE connectors with larger gauge, real copper wire to ensure a quality, weatherproof and reliable connection. 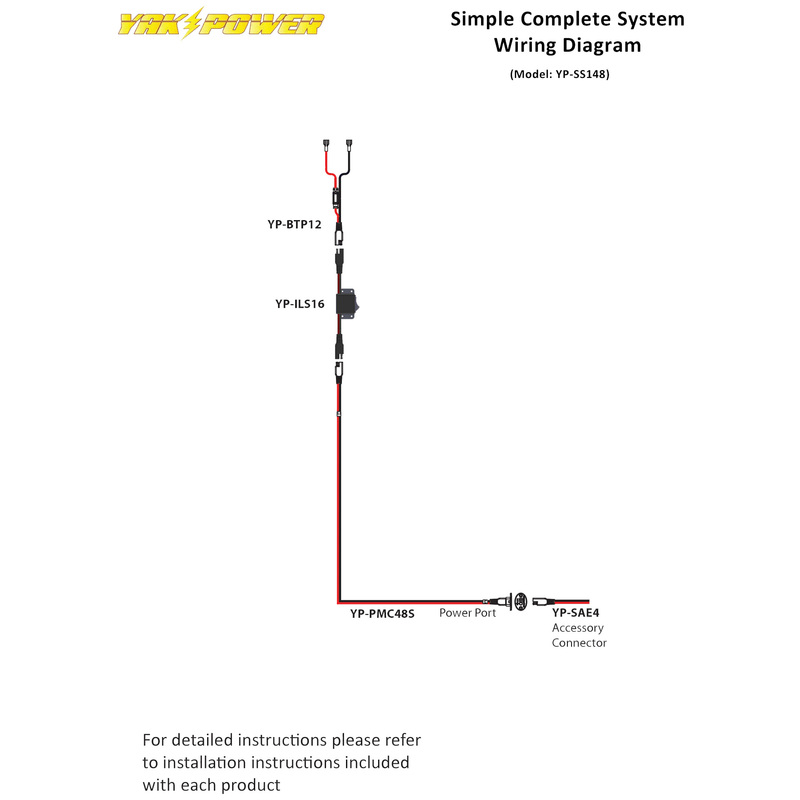 All Yak-Power plug-and-play accessories are designed specifically to work together while maintaining the correct battery polarity throughout the entire YP system. Using other aftermarket connectors or splicing other connectors into our system may cause damage to the system or the accessories connected to the system. This voids your warranty. Make sure to pay attention to the wire colors of all YP accessory cables to ensure that the red (+) wire is always connecting to the red (+) wire on the connector into which it’s being plugged.